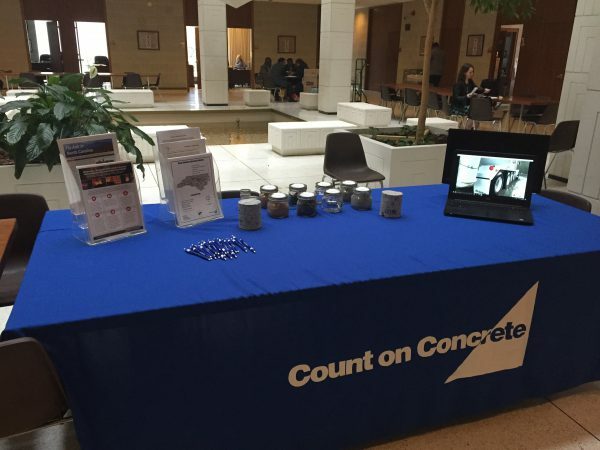 Over 40 CRMCA Members gathered at the NC Legislative Building yesterday for our annual NC Concrete Day! The day kicked off with our Legislative Breakfast offering a great overview of our industry action items and a chance for Q & A with legislators. Key items included Fly Ash, our Mill Tax Clarification needs, Competitive Pavements and Build with Strength which focused on concrete construction above three stories. Following the breakfast, CRMCA members flooded the halls to complete over 60 visits with legislators. Many came by to see our display table with video footage and details on how to make concrete and a few even made it outside to see our Concrete Truck on display. 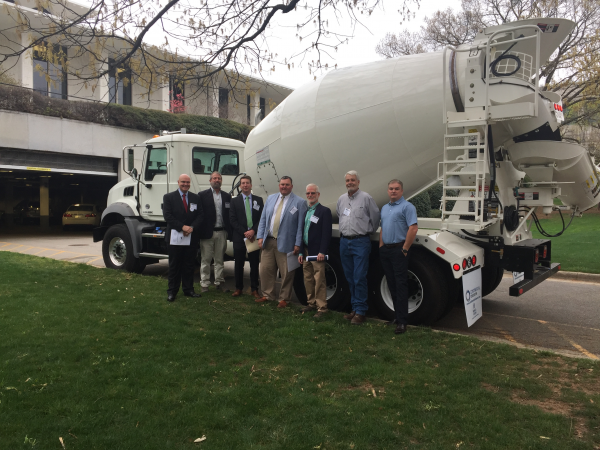 BIg Thanks to Grooms Equipment who provided us a shiny and all white Concrete Mixer Truck for Legislators to see in person! We want to thank all our members who participated and made this year’s event a success! For those who missed it be sure to check our Legislative Action Items which were distributed to all and will be a key piece in our continued efforts to our items forward this year. Grooms Equipment The SEFA Group, Inc.
Martin Marietta Thomas Concrete, Inc. Thank you General Assembly for passing legislation in 2016 that requires Duke Energy to install three ash reprocessing units which must produce 900,000 tons of quality coal ash per year. We appreciate Duke Energy signing off on this language, the support of the environmental community for adjustments to previous coal ash statutory language and the leadership of the General Assembly to make our state a leader in recycling coal ash. Last year, the concrete industry in North Carolina consumed 959,000 tons of fly ash for making roads, bridges, pipes and buildings. Currently Duke Energy only produces a fraction of the coal ash we need thus we have been importing it from other states and other countries as far away as Asia – even though there is over 110 million tons of it in coal ash ponds here in North Carolina. The demand for Ash in North Carolina and bordering states will exceed 46 million tons in the next 15 years. Use in concrete gets rid of coal ash permanently and removes the risk to the environment forever! 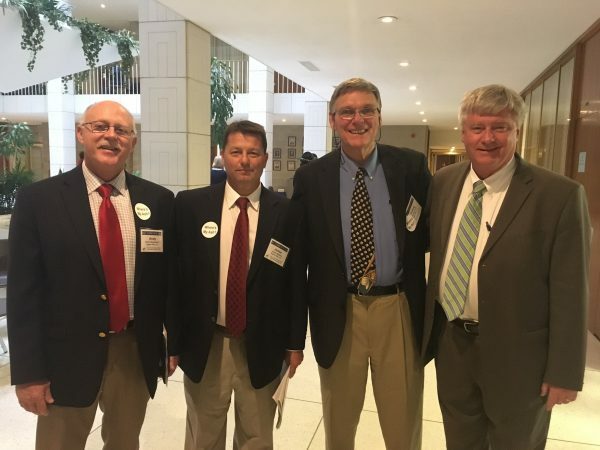 With no change in the law, the NC DOR changed its prior interpreted practice of taxing ready mix truck mixer equipment as mill equipment at the 1% / $80 level to stating they believe repair and replacement parts should be taxed at the full sales tax amount. IRS and DOR also view the mixer equipment as off road manufacturing equipment for fuel tax purposes, which is completely inconsistent for sales tax purposes. Please support a clarification to the current mill machinery ready mix concrete statute that repair and replacement parts are also considered mill machinery. This is not a tax credit for the ready mixed industry, we simply need DOR to continue their historical interpretation of the law. 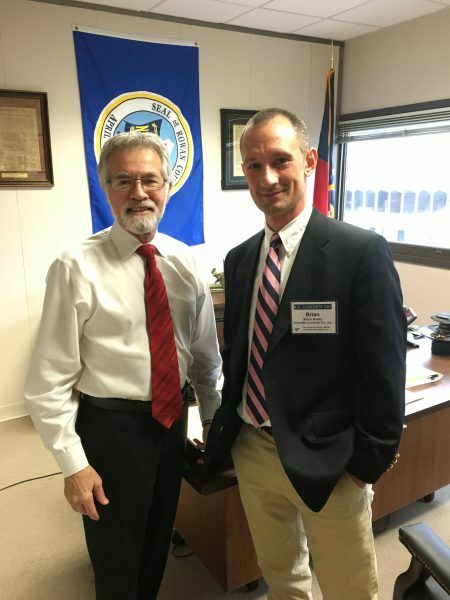 Build with Strength is a coalition working with fire-safety professionals and first responders to help spread the message that cheap, lightweight, combustible construction puts communities at risk. In light of the recent fire in Raleigh, the fire services community knows higher standards mean safe structures. Sustainable and durable development is the only economically viable way to build safe and resilient communities and infrastructure. It’s time to pass safer building codes – help lead the way in making buildings safer for communities and firefighters. We thank the NCDOT and industry partners for completing and approving the NC Streets & Local Roads Design Guide and Specification in May of 2016. The Design Guide and Specification provides owners, developers, designers and any other private or public entity an opportunity to have a cost-effective alternative to asphalt. Appropriate designs result in appropriate initial bids so that appropriate life cycle cost analysis can be performed in comparing pavement selection types. North Carolina still lacks a competitive two pavement system. The concrete industry has been advocating for many years for a life cycle cost analysis component to be added to the RFP process for highway construction. In August 2014 the NC DOT Board approved a life cycle cost analysis for highway projects over 1 mile long. Although the DOT Board approved LCCA, the department has yet to implement a “C FACTOR” adjustment to Design-Build projects that contain alternate pavement designs. CAL Trans, Minnesota, Nevada, Colorado and other states are reaping significant financial savings as a result of adopting a robust, competitive two pavement system, incorporating an unbiased Life Cycle Cost Analysis to their transportation network.